How Can Athletes Handle Competition Pressure? For a couple years, the golf media and fans were asking why Bubba Watson had not won a major. The guy is super talented. He’s a self-taught pro golfer with no teachers or sports psychologist-very rare in today’s golf world. He’d been in position to win, but was unable to close the deal on a couple occasions. Was he too anxious? Was the pressure of winning a major too much? All questions have been put to rest recently when Bubba Watson won the 2012 Masters. What’s the mindset of a champion trying to win a tournament? How did he handle the pressure of the Masters? He wanted to win. He was ready to win? Maybe in the past, he wasn’t ready to handle the pressure. “Coming down the stretch, on the back nine, my caddie said, nine holes to go. If you shoot 31, 5 under basically, you have a great shot of winning. If that doesn’t win, you’re going to scare it. So I said, yeah, I’ve shot that many times. Let’s just try to do it today,” Watson said. One way he copes with anxiety and pressure on the course in perspective. He puts his life in perspective. Watson knows that his life will not end if he chokes away a lead or does not win. His family will still be waiting for him to return. “The pressure, it’s all placed on yourself. For me, knowing that I am going to come home to my beautiful wife and my beautiful boy, it might take a little bit off, but I’ve never been that way. I’ve never let golf ruin my life. You’re talking to a guy that’s goofy and messed up in the head. So I’m different than everybody else,” said Watson. 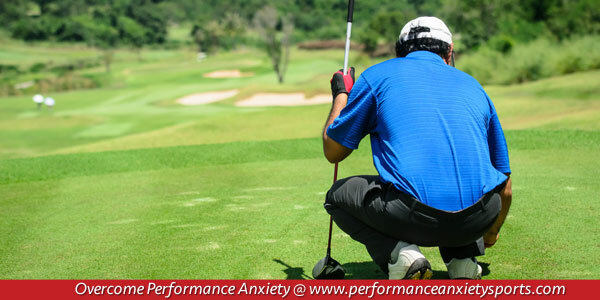 Interesting perspectives on how to handle competitive stress and Major Pressure from a self-made golfer who is different than any other golfer on the PGA Tour.